Among art historians writing in English, Steinberg is often mentioned as possessing an exemplary style, and I have heard on several occasions that because English was not his first language, he might be considered a sort of linguistic genius on the order of Conrad or Nabokov. Those comparisons imply that it may not be possible or even ideal to emulate his style, and that there may be other optimal styles available to native speakers of English. The same has been said, for example, of Nabokov—his writing has been said to be supernaturally perfect, “lapidary.” (“Nabokov’s lapidary, lepidopteran style,” says David Kippen.) An initial question in relation to Steinberg's writing, therefore, is the relation between his particular achievement and what might count as optimal art historical or humanistic writing in general. Steinberg's learned English is orders of magnitude more learnèd than most native speakers' English. He had more polysyllabic, multilingual words at will than any late twentieth-century academic except perhaps Roland Barthes, and he knew dozens of legitimate three-letter words—that is, words that no one uses, but are actually in the Oxford English Dictionary. 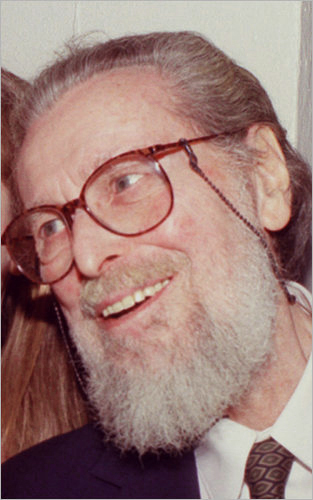 His attention to grammar and word choice was intense: he did not permit copyeditors to alter what he'd written, and it is clear reading him that he interrogated every clause for potential defects, that he chose each adjective and adverb with the precision of a thesaurus, that he made himself familiar with the etymology and usage of every substantive and proper noun. His writing is unremittingly perfect, compacted, airless. Like Nabokov, he surprises readers with the apparent artificiality of his writing, and then surprises them again when they realize that the artificiality is only a new form of perfection, against which their supposedly natural prose looks sloppy and worn. This apparent perfection has perhaps contributed to the lack of attention to the relation between form and content: is the supernatural prose style an ornament on the logical and historical claims? Or is there some other relation between the two that might be specified? This book is, I think, an optimal example because it presents such a strong contrast between the nearly unparalleled intricacy of his logical claims about the painting’s multiple meanings, on the one hand, and his crystalline and letter-perfect prose, on the other. I’ll approach the question from three perspectives: first the book’s theory of interpretation and meaning; then a sample of its species of argumentation; and then its writing, considered as a binding medium. In Why Are Our Pictures Puzzles? I was interested in what I called “monstrously ambiguous paintings”: works of art that had come to seem, by the end of the 20th century, to be unencompassably complex. Paintings like the Sistine Ceiling, Velázquez’s Las Meñinas, Botticelli’s Primavera, and Giorgione's Tempesta had accumulated such extensive bibliographies that no single scholar, including the specialists, read the entire literature. I thought Steinberg was one of the few who addressed that condition, because his opening move in Leonardo's Incessant Last Supper is the observation that modernism is in love with ambiguity and has a penchant for seeing it where it may not exist. “Ambiguity,” he notes, comes from the Greek amphibolia, meaning a predicament, but modern taste enjoys indecision and now we seek out ambiguity rather than avoiding it. 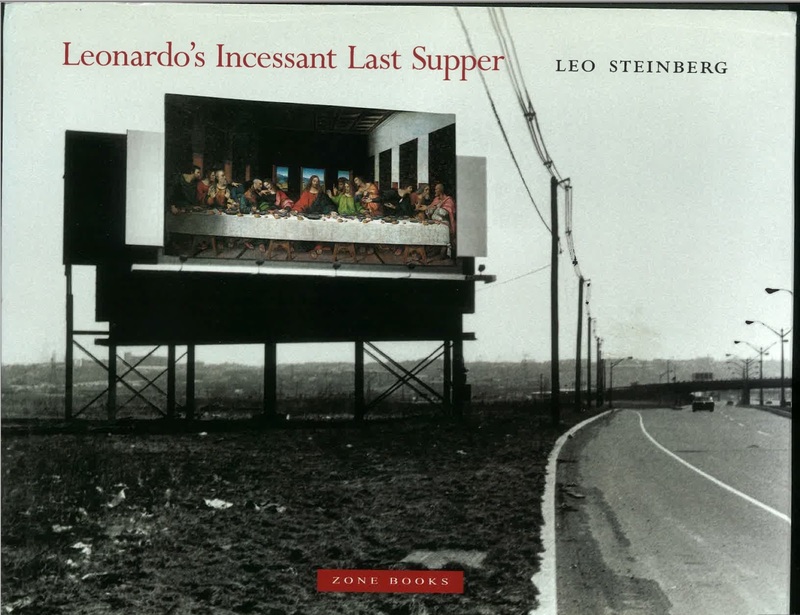 To Steinberg, “the question is not either/or—not who is right… but rather, what is it in Leonardo’s presentment that allows this plurality of interpretations?” It's one of the book's great innovations to consider copies of the Last Supper, as well as texts about it, as evidence of the painting's complexity. (It's an innovation that has barely been taken up by art historians.) When the copies seem not to have been done by especially talented or careful copyists, it seems plausible they might not have much of value to say about the original. Which competing meanings, then, should an historian take seriously? This crucial passage was revised in the 2001 book, possibly because of the doubts I expressed, but probably because of other people’s criticism. In the book the expression “intelligent reactions” is deleted, and in its place there is this: “It is assumed that perceptions of the Last Supper, especially where they differ from one another, may become sources of insight into the work itself” (p. 14). The qualification “especially” is also new, so the claim is slightly shifted from admitting all ambiguities to emphasizing those that differ from one another. This question was Freud’s before it was Steinberg’s. In “The Moses of Michelangelo” Freud wonders: “What if we have taken too serious and profound a view” of the details of the Moses? “What if we have… thought to see quite clearly things the artist did not intend either consciously or unconsciously? I cannot tell. I cannot say whether it is reasonable to credit Michelangelo… with such an elementary want of precision….” Like Steinberg, Freud goes nowhere with this question, which really is not even a question. Freud’s essay ends ten lines later. No one, I think, has a reasonable answer to the question when it is put this way. To answer it, the terms have to be changed: instead of asking about what is the case with Michelangelo or Leonardo—rather than wondering about their intentions, or even their reception—we need to ask first about our own intentions. Steinberg’s attraction to ambiguity leads him to find it where others would want it constrained. I am still unsure, even fifteen years after I wrote Why Are Our Pictures Puzzles?, about what in Steinberg's book is plausibly true of the painting, and what can better be assigned to Steinberg's late twentieth-century scholarly interests, which included a precocious understanding of postmodernism, an unusually wide grasp of the uses of ambiguity in North American new criticism and French poststructuralism, and a penchant for astonishing complexity of argument. 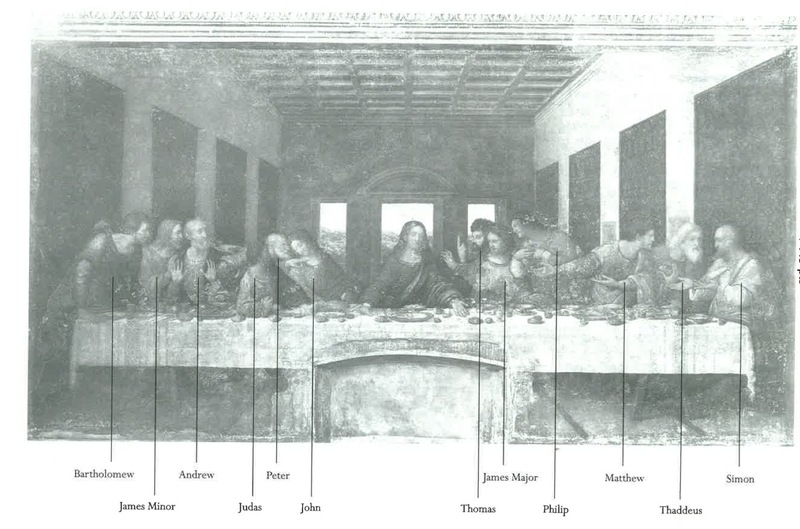 How much of Leonardo's Incessant Last Supper is incessantly of its time—the decades from the early 1970s, when the essay appeared, to 2001, when the book was published? It is difficult to say. Nothing in the forty years since the essay appeared has even remotely approached an inventory of Steinberg's claims: I am entirely on his side in indicting art history for not rising to the challenge, but part of that challenge would also have to be separating the scholar in New York from the painting in Milan. Leonardo's Incessant Last Supper may be the most intricately argued work in the discipline: if art historical texts were heavy in proportion to the density of their argument, Steinberg’s would be lead, and most others would float away. After the short introduction on ambiguity itself, Steinberg begins by studying ambiguities about the moment depicted in the painting. His double position is that the single moment is too easy to depict, and that modern “positivistic” thinking and Goethean dramaturgy have led us to expect a single moment, so that we may even to be incapable of registering a painting that shows us several moments at once. The earliest copy of the painting is captioned “One among you will betray me.” Even if the copyist was right, “unus vestrum” (“one of you”) implies not one moment but two: the one in which Jesus spoke, and the one immediately following when the Apostles reacted. Clearly, the painting may be either the second, or both, even if it cannot be only the first (plate 26). A closer look shows an interesting symmetry between Judas’s left hand and Jesus’s right hand: they flank a bowl from opposite sides, without touching it. That configuration implies a further moment: when the apostles ask who will betray him, and Jesus replies “he that dips his hand with me in the dish” (or else, as in Luke 22:21, when he says “the hand of him that betrays me is with me on the table”). That is three possible moments, the first two of which may overlap. Steinberg collates the opinions of several writers, and decides that the first two moments are clearly present in the painting, despite an “avalanche of positivist rationality” that tried to reduce the theme to the moment of betrayal (301). But there is no clear trajectory from Renaissance multivalence to modern certainty, since even the earliest copy omits the dish. Raphael’s version, engraved by Marcantonio Raimondi, “silences” Jesus, in order to ensure that the scene depicts the second option, when the apostles react to Jesus’s initial statement. In Why Are Our Pictures Puzzles?, I tried to parse some complex claims in Steinberg and other historians by using William Empson's Seven Types of Ambiguity, which is an unparalleled resource for understanding just how much a reader can keep in mind. What is Leonardo doing to confound so many commentators and copyists? Steinberg suggests he is applying sfumato, an effect of soft shadowing, “even to the gradations of time,” intentionally creating what Empson would call a first–type ambiguity, in which there is no logical way of deciding between compatible possibilities (303). So far at least, this is not a fourth–type ambiguity, where the disagreeing meanings “make clear a more complicated state of mind in the author”; it is simply a noncontradictory choice with no hope of adjudication. Quite a logical difficulty for such simple elements. Then there’s the problem with Christ’s size: though he is seated, he is as high as St. Bartholomew (standing at the far left) and St. Matthew (standing third from right). A closer inspection reveals that Leonardo has built toward the center of the composition “through subtly graduated enlargements,” increasing from relatively short figures standing in the wings to Christ, the tallest of all, seated in the middle (303). The principal ambiguity of scale, therefore, is the historical ambiguation between Renaissance isocephaly, where all heads are on a single horizontal, and medieval hieratic scaling, where more holy or important figures are represented larger. 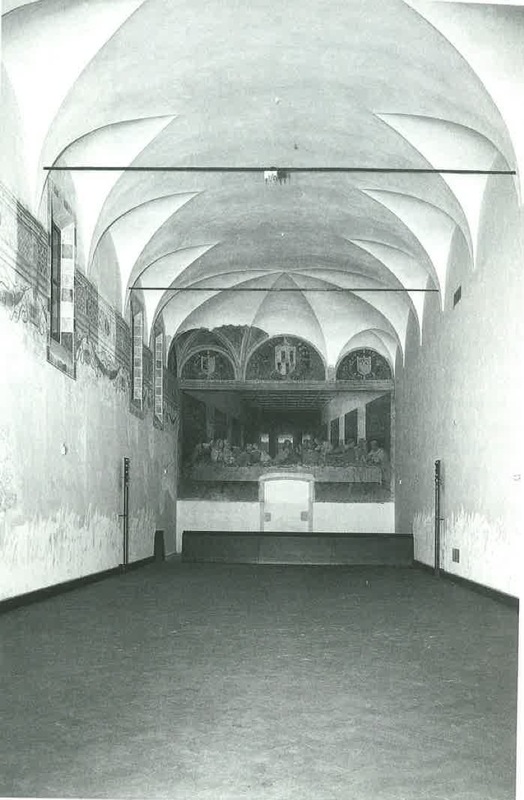 This is, at the least, a meta–ambiguity, since it is indeterminate between a problem of scaling having to do with the room and its table, and a problem of historical reference pertaining to pre–Renaissance and Renaissance practices. In the book I go on in this fashion, summarizing Steinberg’s arguments, in order to show the strange effect they produce: I think they necessarily deflect attention from the painting and its meanings to the author of the text—his neutral but incessantly demanding tone—and the writer—Steinberg, the art historian, whose text is also necessarily in part an autobiographical one. At some point in the book, perhaps by chapter 3 or 4, I imagine readers will no longer be able to keep Steinberg's arguments in mind. They will be aware of his “more complicated state of mind” regarding the painting, as Empson says, but they won’t be able to rehearse his arguments or see how they cohere. It becomes extremely difficult to see how the chapters add, except by sowing ambiguations that have something to do with the fictive space of the painting. It is a perfect instance of a type–six ambiguity, which “occurs when a statement says nothing,” “so that the reader is forced to invent statements of his own and they are liable to conflict with one another.” Steinberg would be liable to the charges Empson puts to Herbert and other poets guilty of type-six ambiguations, if it were not that Steinberg’s “ambiloquy,” as he calls it, is presented as an impeccably logical framework. On repeated reading, the sequence of chapters reveals itself as a logical progression shot through with parentheses whose positions could readily be transposed. The material on Christ’s pose, for example, goes to show how a miscellany of features all create a sense of sanctity; but that argument might as well have come before the discussion of the “mystic” meanings of the Eucharist and Crucifixion. Close reading does not disclose the exact nature of the logical links between the chapters, except that they tend toward the question of space. Chapter 7: the meaning of the spatial construction, and resolution of the dilemma. Perhaps the central argument, that Leonardo intentionally controlled ambiguities, is itself not susceptible to strictly linear argument. There are, in Steinberg’s account, several linked but semi–detached arenas of ambiguity, and several linked but semi–detached kinds of ambiguity. They cannot fully mesh, and I take it he does not want them to. The ambiguities of subject are one arena, and there are also ambiguities of history, of fictive space, and of meaning. Each of them has its own kind of ambiguity, and most have more than one kind: that is, logically they cannot add to a single chain of propositions. This is an exposition of ambiguity which is also partly a discourse on ambiguity (it is an ambiloquy, in both ambiguous senses of that word), but it does not take the form of a unified sentence, pulled and extended until it has reached the length of a book. If there is a guiding logic here, it is an ambilogic: a series of logical disquisitions on ambiguities, linked collage–fashion with apposite but logically disjunct disquisitions. These issues of the interpretive theory and the book’s argument bear directly on the writing. The book’s inclusive sense of multiple meanings would, in theory, be compatible with a loose or even impressionistic writing style. Here it’s the opposite. On the other hand, the book’s overwhelming, unique density of argument seems to call for the astonishing adamantine concision of Steinberg’s prose. I will end with some thoughts about that double contrast. Steinberg was an obsessive observer of opinions about his work. In his apartment sometime around 1982, I saw his notes on the original 1973 essay: he had penciled in the margins, in a tiny handwriting, every single comment he'd heard or source he'd found that could possibly be relevant to a future revision of his text. The effect was like Montaigne's notes on the first edition of the Essais: the marginalia overflowed the original text. He focused with the same intensity on his own writing. In one of the opening paragraphs, Steinberg writes: “Leonardo's picture is still where he painted it. Despite its physical devastation the painting continues to stage a unique situation....” In the original 1973 essay he had “deterioration” instead of “devastation.” The latter is much stronger and also has a double meaning, personifying the painting's neglect—and possibly even an echo of the neglect suffered by Steinberg’s own 1973 essay. Instead of “stage,” he’d had “build,” a weaker word, and technically incorrect; “build” also has the virtue of connecting with his argument later in the book. A few sentences later he says “The image in situ is no kin to its clone on a New Jersey billboard” (and then he reproduces a photo he took, which was also used for the dust jacket). Instead of “clone,” the 1973 essay had “reproduction,” which is weak; “clone” provides an alliteration, topicality, and a complexity of meaning, because his argument throughout is that reproductions and copies lose the physical setting of the original and are therefore not clones. This degree of self-editing continues incessantly, throughout the 2001 book. Some revisions direct the reader to the author (rather than the writer), for example these word choices. Other revisions point the reader to the writer, and his life, because they are motivated by Steinberg’s self-presentation. 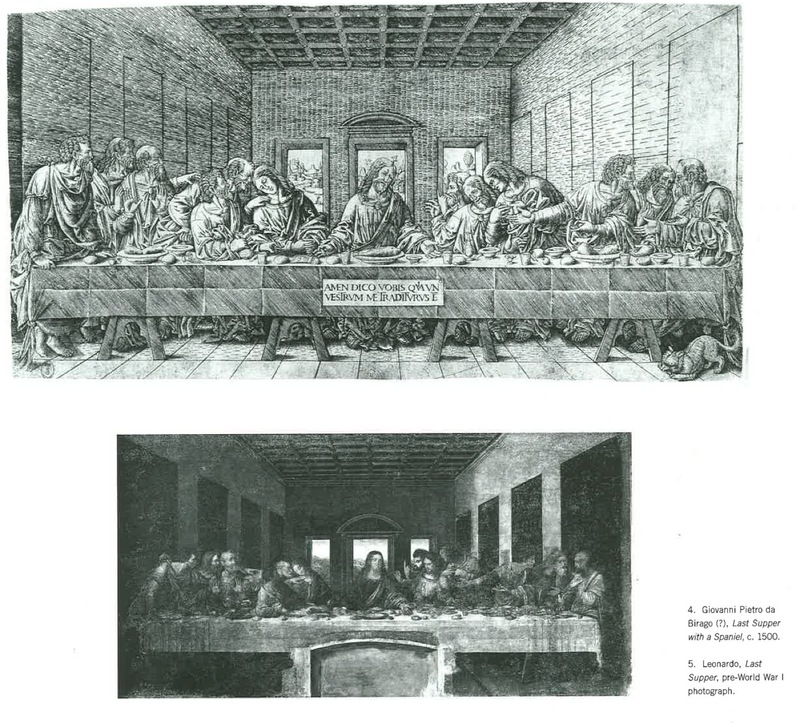 He notes, for example, “my thoughts on Leonardo’s Last Supper were first aired at the Metropolitan Museum, New York, in November 1966,” but the 1973 essay says the first presentation was April 5, 1966, at Cornell College in Iowa. 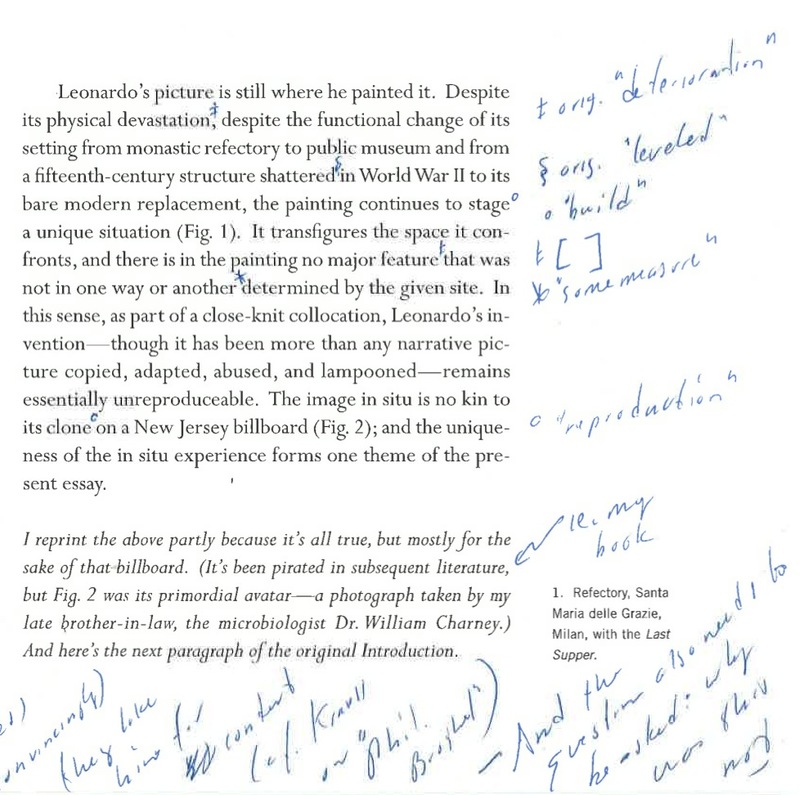 A reader will also think of the writer rather than of the truth of the painting when he sees the many revisions that answer printed, spoken, and potential criticisms of the 1973 essay. So, in this reading, what binds Steinberg’s form to his content is a double relation—something quite appropriate to the multiplying ambiguations of his ambilogical book: the interpretive brief he gives himself, of collecting “intelligent” “perceptions” of the book, is inexplicably played out in prose that is intensely self-regulating against ambiguity; but, on the other hand, the logical arguments of the book, regarding the many instances of ambiguity, seem to require those same self-restrictions. In this reading, the writer’s insistent voice, incessantly advertising its correctness, is well matched to the book’s fierce logic; but the authorial voice is the more interesting because it is increasingly enigmatic as the book goes on, as if the writing and the logic were proceeding out of control. For me, this is an exemplary instance of interesting writing in art history. I’m sorry Steinberg died before I finally got around to assembling these remarks, but I’m absolutely certain that he would have disliked them as intensely as he disliked my first set of comments on the article that preceded his book: that’s a good example of the difference between a writer and an author.